This luxurious, gated, new construction overlooks the idyllic Quarton Lake waterfalls and neighbors the town of Birmingham, making it a quick stroll to eating and shopping. 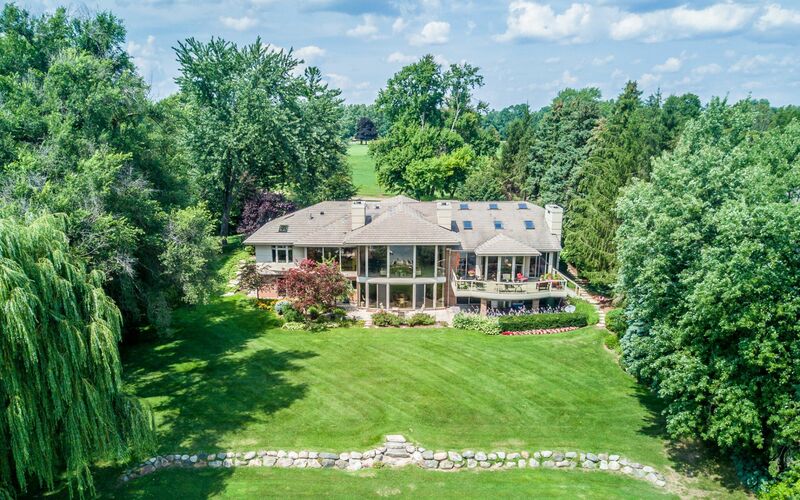 Considered to be one of the most desirable areas in Oakland County, this manageable setting maximizes space and exemplifies the importance of fine finishes throughout. Implementing cutting edge technology, state of the art appliances, Quartz kitchen and wet bar counters with Custom Epic Woodworks Cabinets and sweeping views of luxurious landscaping, including a fully automated bathing pool; tucked neatly outside the Great Room. The layout encompasses, 5 bedrooms, 6 full baths, powder room, large mudroom, second floor laundry work space, 3 story Great Room that opens to the chefs kitchen and eat-in, butler’s pantry, dining room, mahogany Library and more. The sweeping views are the finishing touches to this exquisite property.